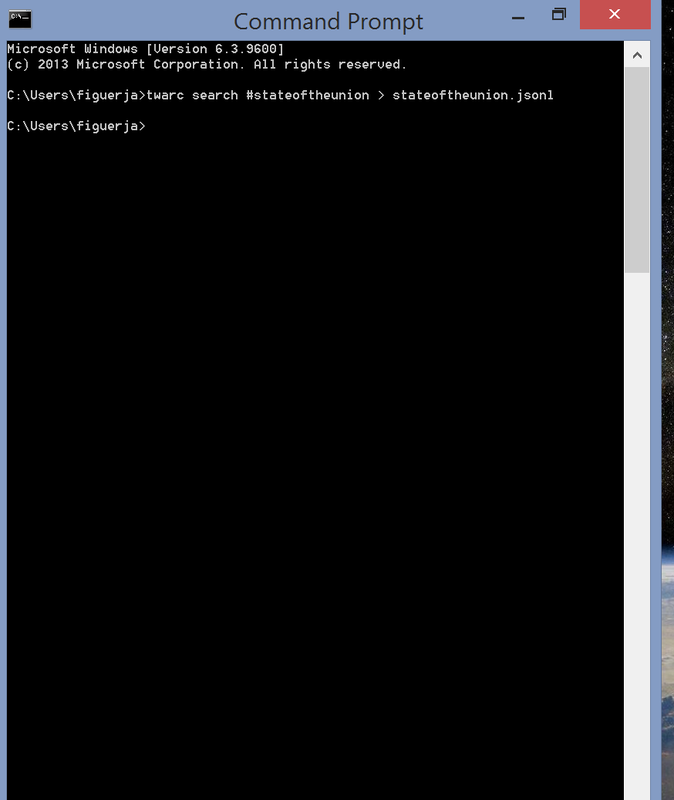 The last few weeks I have been working with the command line tool Twarc. 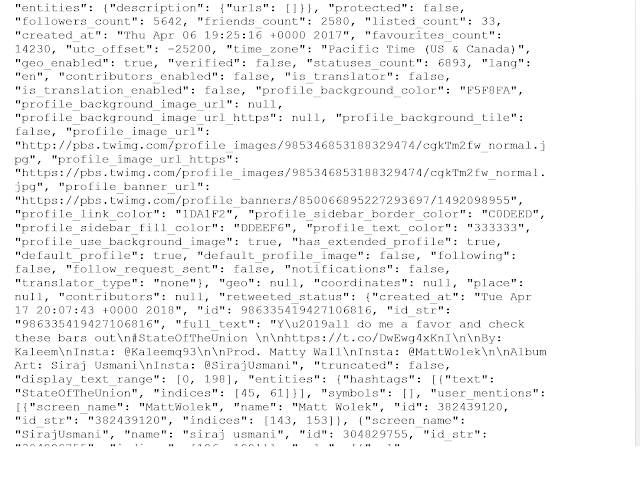 It essentially scrapes Twitter's data and saves it all as a jsonl file. Now, I'll be frank, I barely know how to use this tool and it took me quite a long time to even set it up. Even when I finally had it up and running, I couldn't figure out how to get to the data and see what I had collected. All that data sure looks confusing! I wish I could give you a more detailed walk through of how to use the data and what it all means, but I'm still figuring that out for myself. What I do know, is that the url's will take you to either the tweet itself or the media attached to it. That is what makes Twarc really awesome; you can get access to the media, something not all Twitter scrapers do. 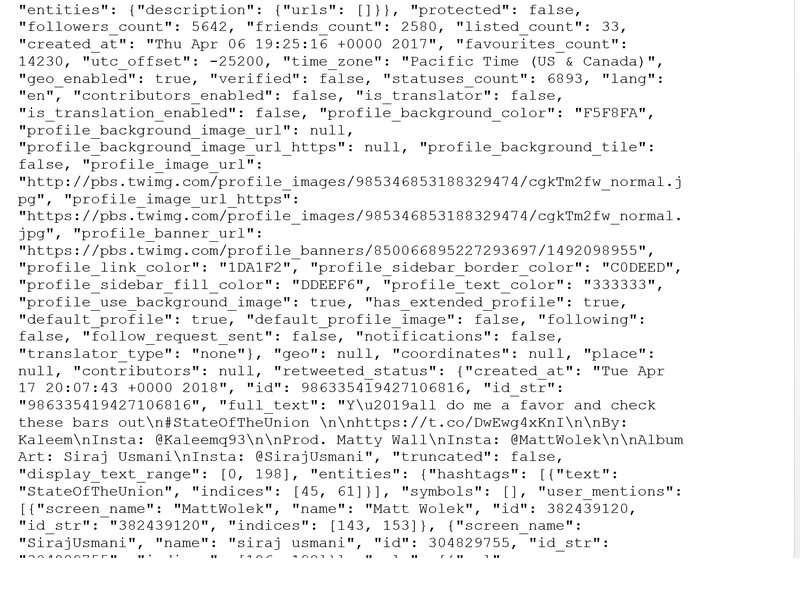 Either way, the data can only go back as far as seven days as that is what is available through Twitter's API. As I learn more, I can post updates here to try and make your experience with Twarc easier than mine!